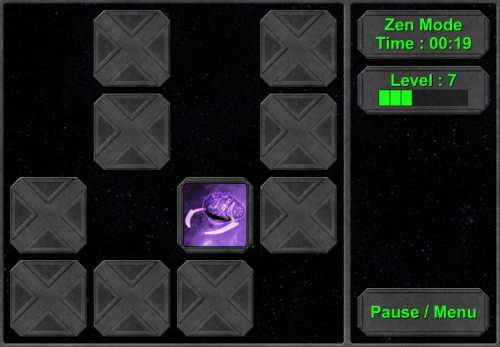 Description Memory/concentration game with various single and multiplayer modes. Controls Flip cards trying to match identical spaceship images. In Time Attack you have limited time to do so. In duel and fleet mode, you play against the AI where each side takes turns flipping cards. Duel and fleet mode are also available in multiplayer. Nice memory-training game and cool modes!